North Lanarkshire Council has criticised the Scottish Government over plans to reduce the single occupant discount on water rates. 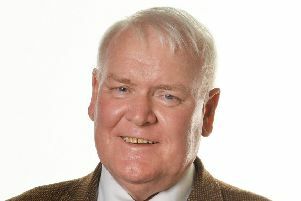 Council leader Jim Logue believes reducing the discount from 25 per cent to 10 could have a detrimental impact on vulnerable households, including single parent families. Details of the Scottish Government’s desire to reduce the discount, as well as doing away with exemptions for vacant properties, are included in its consultation document for the Strategic Review of Water Charges 2021-27. It reads: “The cost of the single occupant status discount is large - £85m. It is also increasing as the upward trend in single occupancy continues. The cost of the exemption for vacant household properties is £20m. “There is no service-related cost justification for providing discounts for single occupancy or for vacant properties. Whilst these properties may use less water, most costs in the industry are fixed and drainage costs are not dependent on the number of occupants. ”Many single person households do not face issues of affordability – the discount is therefore simply a subsidy to them from other customers. Councillor Logue said: “Our administration has always supported the abolition of council tax, believing it to be a broken and unfair system. “Sadly rather than reforming the system, the Scottish Government are choosing to penalise vulnerable families with a further increase in council tax. The consultation runs until September 14 and can be found at https://consult.gov.scot/energy-and-climate-change-directorate/water-services-from-2021.